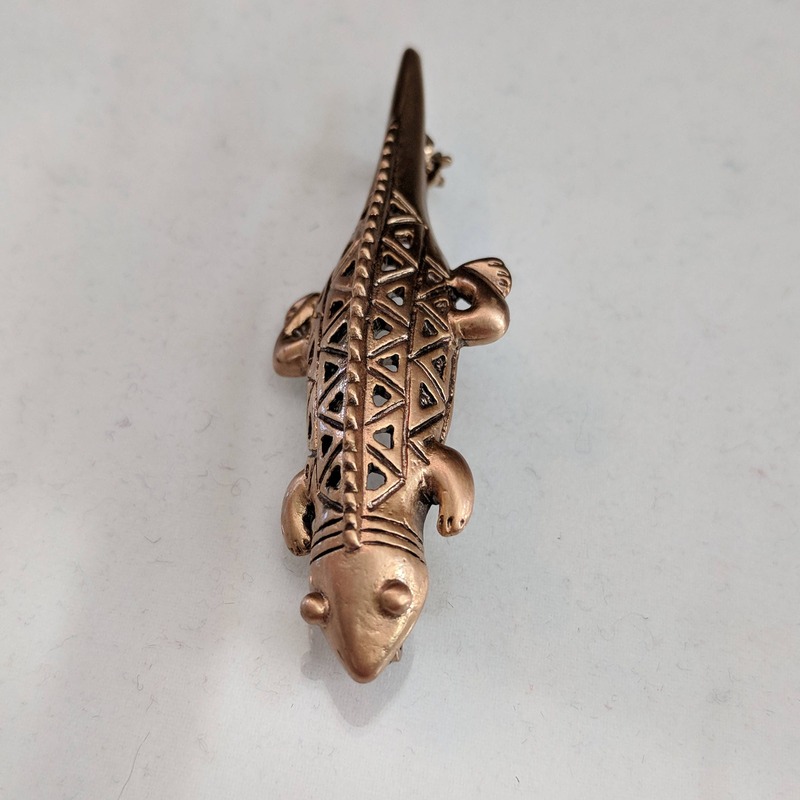 Vintage Pre-Columbian Lizard Pin - 600 A.D. to 1600 A.D.
Vintage Pre-Columbian Lizard Pin - The people Of the Quimbaya culture lived in the gold-rich valley of the Cauca river in Colombia. They were the finest goldsmiths of South America. SInce the Quimbayas felt closely connected to their natural environment, their style emphasized realism. Gold objects were sacred and worn with reverence or offered to their gods. Lizard represents patience and wisdom. He also represents conversation and agility. We ship via USPS Priority Mail with insurance so that you will receive your order in 2-3 days once the package is posted, plus you an track it on-line! 600 A.D. to 1600 A.D.
HISTORY: Before the Spanish conquest, many Pre-Columbian cultures flourished in South and Central America. 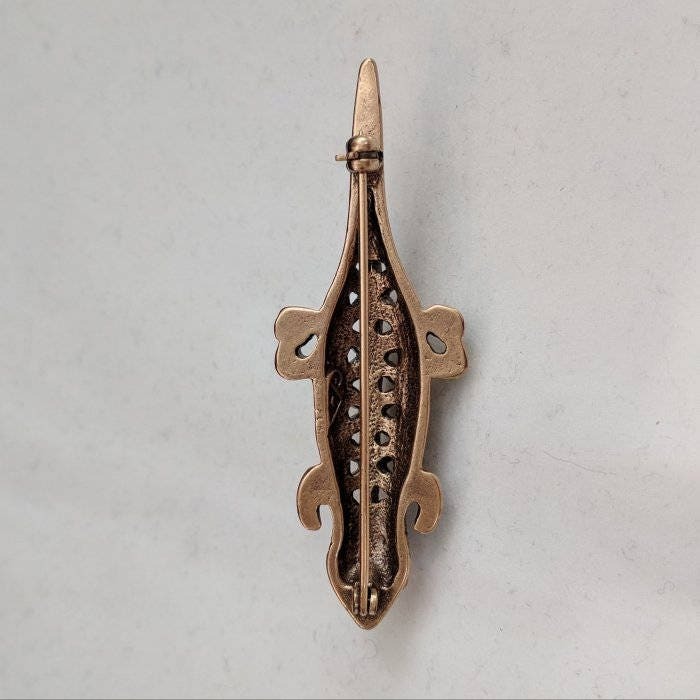 Their close relationship to nature is echoed in the style of personal adornments which were often worn as protection against hostile forces or made as offerings to appease their gods.